Disability insurance, long-term care insurance, and critical illness cover are becoming increasingly important in developed countries as the problems of demographic aging come to the fore. The private sector insurance industry is providing solutions to problems resulting from these pressures and other demands of better educated and more prosperous populations. 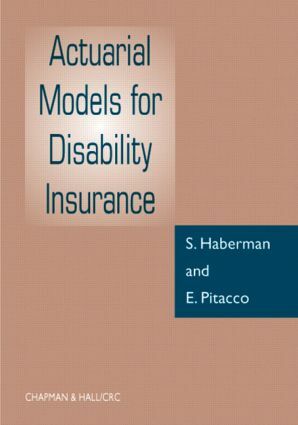 Actuarial Models for Disability Insurance examines the actuarial structure of disability insurance, long-term care insurance, and critical illness cover, including problems encountered in the design and development of such insurances. Actuarial problems such as pricing and reserving are considered within the context of multiple state modeling, providing a vigorous and sound framework for analyzing personal insurances.